IN THE WAKE OF PARKLAND « THE BRYCE IS RIGHT! – Are we attacking the symptoms of gun violence or true problems? 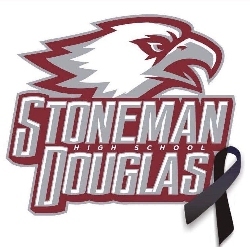 We all suffered to some degree following the shootings in Parkland, Florida on Valentine’s Day, particularly the High school students there. Their pain is legitimate, their solution to the problem is not. Any time we have a disaster like this, the Left likes to point fingers at assault weapons, the FBI, the NRA, and their favorite target, Mr. Trump. In other words, everyone but the shooter himself. This knee-jerk reaction is obviously done for political purposes and addresses merely the symptoms, not the root problem. Even if government banned the popular AR-15, there are many other rifles with similar capabilities, and if you were to ban them all, there are still semi-automatic shotguns which can do a lot of damage quickly, not to mention handguns. And if you were to ban all guns, there would be another weapon du jour, such as a road-side bomb, or simply a car ramming into a crowd. Following the last Federal Assault Weapons Ban held from 1994-2004, the Department of Health and Human Services conducted a follow-up study and concluded, “the Task Force found insufficient evidence to determine the effectiveness of any of the firearms laws reviewed for preventing violence.” In other words, the ban did nothing to reduce violent behavior. The NRA is frequently criticized and portrayed by Democrats as the bogeyman of violence. As advocates of the Second Amendment, their support of gun safety, education, and animal conservation is conveniently overlooked. True, the NRA supports various politicians, just like many other lobbyists. Hampering their ability to make such donations should only be done with sweeping reform of all lobbyists, not just the NRA. Their vilification is just plain wrong. The shooter in Parkland came from a broken home, which probably explains why he had trouble differentiating right from wrong. It is no secret the family unit has been deteriorating over the years. It is common for children today to be raised by a single adult who is usually overworked and too tired to manage their offspring properly, and there are others who simply abdicate their parental responsibilities and allow their children to find their own way through life, with the assistance of the Hollywood media. Not surprising, morality is on the decline in this country and shaping the character of our youth. I find it rather remarkable we do not take Hollywood to task for the wanton violence they promote. Not surprising, I’m a proponent of teaching parenting skills as part of an adult education program, perhaps at the schools in the evenings. Since parents appear unwilling or unable to teach proper behavior, perhaps some basic classes for the students in morality and common courtesy are in order. As corporal punishment is no longer allowed in schools as a deterrent for misbehavior, disciplining children is next to impossible, and without it, student grades are affected. To illustrate, ten years ago I wrote about Caroline Haynes, a school principal in Great Britain who caught the attention of the press when she started to implement strict discipline in the classroom. She is with the Tendring Technology College in Clacton-on-Sea, Essex, UK, a secondary school which, when translated to the American equivalent, is a private school for children ages 11-19. Her “zero tolerance” policy for misbehavior resulted in a school environment where students were freed to concentrate on their studies and, consequently, improved their grades significantly. I was told the students actually liked the discipline and preferred it over chaos. This is consistent with my contention that people tend to thrive in a structured environment which is well organized and leadership is strong, whether it is in school or in business. There is also something to be said about implementing school dress codes to influence behavior. Such codes help to promote conformity and decorum. A local high school recently experimented with a “Professional Attire Day,” meaning the students in the business program were asked to dress up for a day. Instead of t-shirts, shorts and gym shoes, they were asked to wear suit and ties for the men, and dresses for the ladies. Remarkably, the lion’s share of students liked the change and took pride in looking their best. The students were questioned about their experience afterwards and reported they felt more positive and confident when dressed up as opposed to being dressed down. Interestingly, they appreciated the respect they received from their teachers regarding their appearance and deportment. The students comprehended the effect of a professional image, both at school and beyond. Some genuinely yearned for a better school dress code as opposed to the slovenly appearance which was currently the norm. One last note regarding education, some time ago I wrote about my experience attending a concealed weapons class here in Florida. Other states have similar programs. In my case I was impressed with the professionalism and knowledge of the instructors, and felt this was something everyone should be exposed to. An informed public is less likely to become a victim and more likely to survive a shooting situation. Anyone who has attended such a class would probably agree, education is the key. Everyone from Middle School onward should be taught the lessons of gun safety. Even children in Elementary grades should learn some of the basics. The only problem with these suggestions for education and discipline is they are considered socially unacceptable and, as such, will likely be spurned as opposed to embraced. Parents will probably not be inclined to learn new parenting techniques, claiming they haven’t got the time. They also tend to oppose dress codes as they see it as inhibiting the creativity of the individual, and have no appreciation for the benefits of teamwork. And gun safety classes will be perceived as promoting violence, when in reality, it is just the opposite. This means, the parents and students do not want to put forth the effort to thwart school violence through such education and hope it can be stopped through other means, such as changes in the law. The only problem here though is you cannot legislate morality. 2. Review and revise our rules for obtaining guns. Following Parkland, there was much discussion about raising the age of a person to own a gun. The argument here is that if a person can join the military at 18 and fight for his/her country, then 18 should be the age. The one difference though is that the military provides proper instruction in the handling of firearms, something others do not receive. Again, I am a proponent of gun safety classes. If a person can be certified, such as through an NRA class, they should know how to properly handle a firearm. The most difficult aspect to ascertain is the mental stability of the individual, which was at the heart of the problem in Parkland and other shooting scenes. Here, students, teachers, parents, and shooting instructors should be trained in terms of looking for signs of trouble and how to report a problem. Again, it’s a matter of education. In the case of the Parkland shooter, his social media was full of obnoxious references to shooting. This should have raised some red flags in the system. Unfortunately, it did not. The era of using schools as gun free zones is quickly coming to an end. Such zones embolden shooters as they realize they are soft targets. School perimeters need to be secured to eliminate unauthorized access. This was a significant problem at Parkland. Training and arming school personnel should also be considered either using existing staff or hiring supplemental people to secure and defend the school campus. Such measures as mentioned herein seem unimaginable to those of us who grew up in a different time when we respected our teachers, loved our school, and as such, had no need for school resource officers. But times have changed. Back in the early 1970’s you could simply go to the airport, show your ticket to your flight attendant, hop on a plane and leave. You obviously cannot do this anymore as tight security is now required. The same is true in our schools, it is a new time and we can no longer afford to operate as we did forty years ago. Our social mores and morality have changed radically, making this a much more dangerous time for those attending our schools. It is time to improvise, adapt, and overcome just as we did in our airports. Even if you implemented all these measures, including the abolition of guns completely, you are never going to solve the problem 100%. There will always be the issue of a social misfit or radicalized person waiting for an opportunity to seek violence. It’s not about the choice of weapon, it’s about the human being. It always has been, and always will be. It is not so much about what laws, rules and regulations we enact as it is about treating human frailties and maturity. Education, discipline, and a little common sense will go much further than banning guns altogether. Let us stop attacking the symptoms, it is time to look in the mirror and address the true problem. This entry was posted on February 27, 2018 at 7:30 am	and is filed under Education, Politics, Social Issues. Tagged: #GunReformNow #GunContolNow #GunFreeZonesKill, Florida, IN THE WAKE OF PARKLAND, palm harbor, The Bryce is Right, tim bryce. You can follow any responses to this entry through the RSS 2.0 feed. You can leave a response, or trackback from your own site. “I just read your column on the Parkland shooting. As usual, you bring up many points to consider. Wow! A lot of good ideas.